At Let’s Face It we pride ourselves on our expert craftsmanship and person service. Our team consists of industry professionals who are highly skilled and talented in their separate areas of expertise and we strive to make sure that your experience with us is a great one. Get to know more about the Let’s Face It team below! Art is all around us….. everything we see and touch was created by a higher source, artist, or designer….. I believe that my work manifests a true cultural connection between my client and what I create for them. Every client wants someone to connect with and I believe I am that person. I absolutely love historical homes and consider myself an industry expert in understanding applications and approaches to a proper restoration. I am proud of the 30+ years of service to my clients and the kitchen and bath industry. Recipient of numerous Contractor of the Year Awards (CotY), Chrysalis Award, Big 50 Award, Featured in numerous local & national magazines, public speaker. Served two terms as the President of the Bucks/ Mont Chapter of the National Association of the Remodeling Industry. Specialist in kitchen, bath and interior finishes. Five years of commercial design experience. 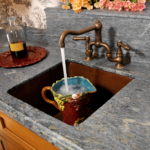 Certified Kitchen & Bath Remodeler (CKBR). Member of NKBA and NARI. Beautiful home design has always been an important part of my life. After my former career in manufacturing management I am truly happy to have an opportunity to use the skills I have developed over the years during the many renovations I have designed and implemented. As a person who loves to cook, seeing the process of old kitchens transformed from outdated and barely functional spaces into bright welcoming “new” kitchens was especially gratifying. After renovating spaces in several house I came to realize that as a creative person, I really enjoy seeing the old become newer and better while keeping the elements that are still functional and meaningful. Kitchens are gathering spaces. Knowing how much a transformation of a kitchen will transform a house, it is especially gratifying for me to work with my clients to help them achieve their vision for their gathering space, while minimizing the disruption to their lives. It is a privilege and a joy to be welcomed into people’s homes and to participate in such an enjoyable process. Over 15 years management in project engineering. Design/build custom carpenter. A.H.I.T. certified and PA licensed home inspector. Member NKBA, NARI, NACHI, AAMI. Certified Lead Carpenter through the National Association of the Remodeling Industry. Certified Kitchen and Bath Remodeler designated through the National Association of the Remodeling Industry (NARI). The art of cabinet refacing has come a long way in the 27 years that Vince has been at the for front, of Let’s Face It kitchens. Working hand in hand with unique modern tooling and creative mechanics to transform run down dated rooms into spectacular up to date kitchens. Vince’s experience in working with the many native hardwoods with unique finishes, modern day stone counter tops and porcelain and glass tiles have helped take our company services to a whole new level. He has designed many different styled kitchens including; white kitchens with minimalistic modern Shaker designs, Classic European Traditional, Italian Renaissance, Period French Country, and much more all available to work with here at Lets Face It. Vince is also a specialist in room design, LED lighting design, and creating comfortable stool height seating. 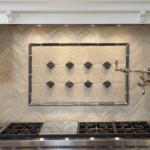 He has working knowledge of all types of stone countertops, Granite, Quartz, DuPont Corian, exotic butcher-block, and is always up to date with the latest trends. He also has background in the art of ceramic and masonry stone tile applications and is certified in Mohawk furniture repair. Vince is also an active member of the National Kitchen and Bath Association (NKBA) and the National Association Remodeling Industry (NARI). Over 25 years of experience in accounting and customer service. I have spent my entire professional career as a finish carpenter. In 1999, I made a decision to join the HomeTech Renovations team and never looked back. My skills include cabinet building, finish carpentry, tile setting, minor plumbing, and electric. Over my years with HomeTech, I am grateful to have steady and reliable work and truly enjoy all those I work with and most of all the customers we serve. Asher is our carpenter apprentice and his skills are varied while assisting our senior installation staff. Asher enjoys fishing in his spare time. I have always been dedicated to the construction and remodeling industry and have been fortunate to cut my earlier career honing my skills as an interior finish carpenter. In 2008, after 15 years of installing high end finished millwork, I made a decision to work for Let’s Face It and HomeTech Renovations. I truly enjoy my work and the customers we serve. This is more than a job for me, as I thoroughly enjoy the support and dedication of the entire Let’s Face It and HomeTech Renovations family of dedicated staff. I grew up in a family kitchen and bath business. Early on, my father taught me the skills and values to be successful in the industry. In 2013, I left my father’s business, as he prepared for retirement, and came to work for Let’s Face It and HomeTech Renovations team. I am now happy and grateful to be part of a 33-year-old successful company and find true pleasure and joy to serve our customers.